Try these yummy Spooky Cider Cocktails for your next party! Named after its refreshing and hair-of-the-dog qualities! The Corpse Reviver is the perfect drink to bring you back to life after a long night, or maybe after a a lot running around and setting up for a party. Make yourself one after spending all day decorating and spookifying the house! Divide Good Cider and apple bourbon between two ice-filled cocktail tumblers. Top each with a splash of sparkling water and a generous squeeze of lemon. Garnish with wedges of apple and lemon. 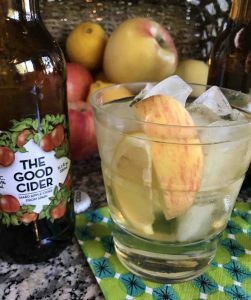 Amy, a big fan of The Good Cider, shared this drink with us. If you have a recipe or cocktail that you think more people need to know about – share it with us! A gruesome twist on a classic California drink! 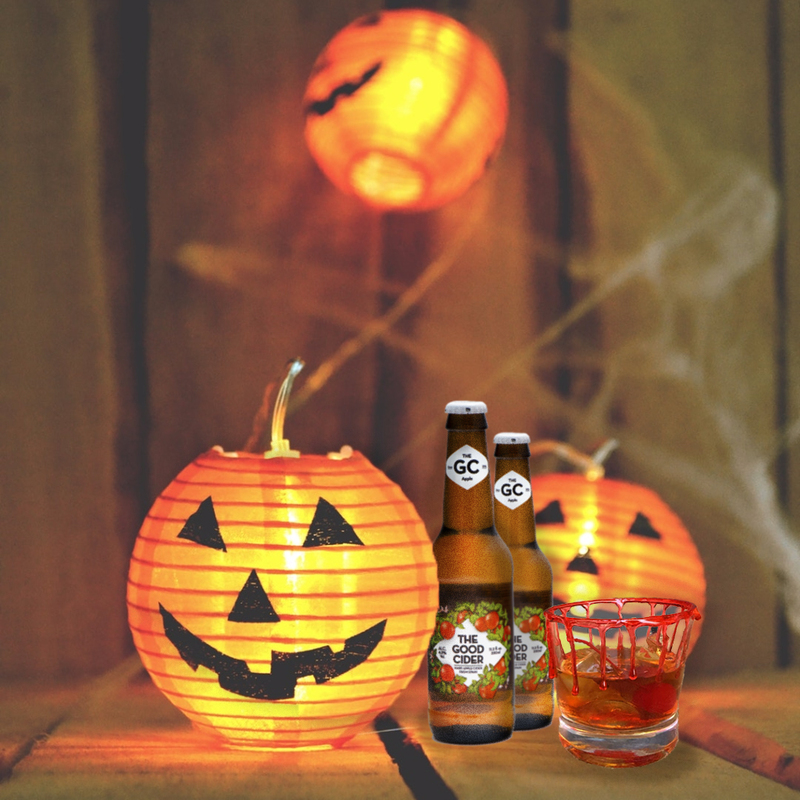 This spooky cider drink is sure to give your guests some exciting chills! And the bloody glass rim can be applied to plenty of other drinks as well! First, rim the glasses with your bloody garnish! Bring to a simmer equal parts grenadine and sugar in a saucepan until a nice syrupy constancy is reached – about 10-12 minutes. Dip the rims of your glasses in the red syrup and quickly turn each glass over, watch the “blood” drip down. 1 ⅓ oz top shelf vodka or gin, which ever poison you prefer. Then, combine and mix with ice, pour into your spooky bloodied glasses. While not really a spooky cider cocktail, what Halloween party would be complete without a little pumpkin action?? This drink comes to us from Brandon, over at Kitchen Konfidence. All credit to Kitchen Konfidence for this great drink! Combine in a shaker with ice all the ingredients but the ginger beer. Shake and strain into a glass with new ice. 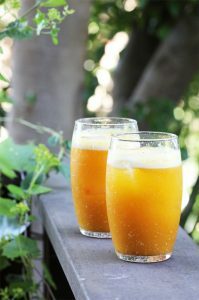 Top with the drink with the ginger beer, and enjoy! And if you’re looking for more fun fall holiday recipes, you can check out some of our older posts! Like Fall Cider Cocktails!